on FaceBook in 60 minutes or Less! UPDATED WITH THE MOST RECENT FB TRICKS! This FaceBook® webinar will NOT be FREE forever. 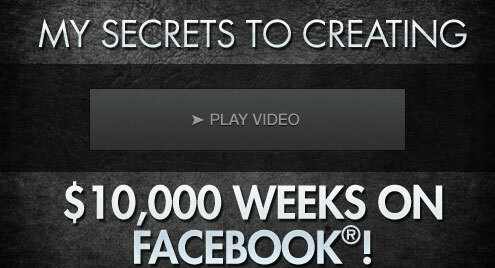 Fill out the form below with your name and email for immediate access on the next page, and finally MONETIZE FACEBOOK®! And that's only the first 14 minutes in this 1 hour and 45 minute training: it gets 100x better! Sponsored stories, landing and application tabs, FB insights and anlytics, FB pay-per-click ads, vanity url's, 15,000+ “Likes,” and so much more… ALL EXPOSED and Completely updated for 2013!